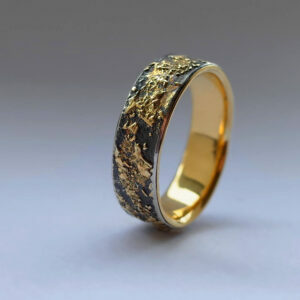 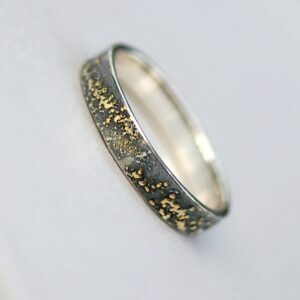 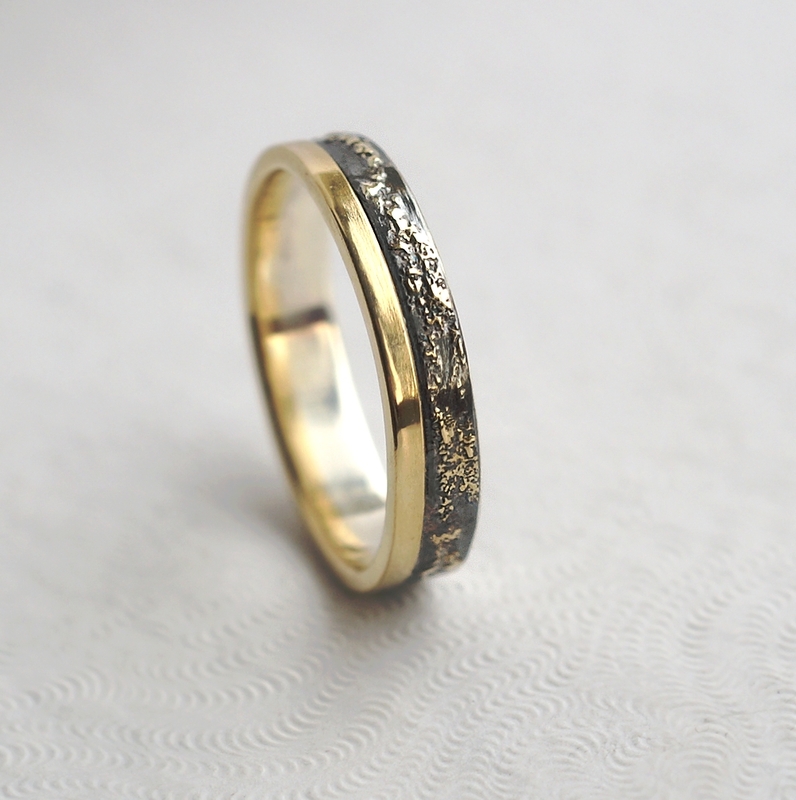 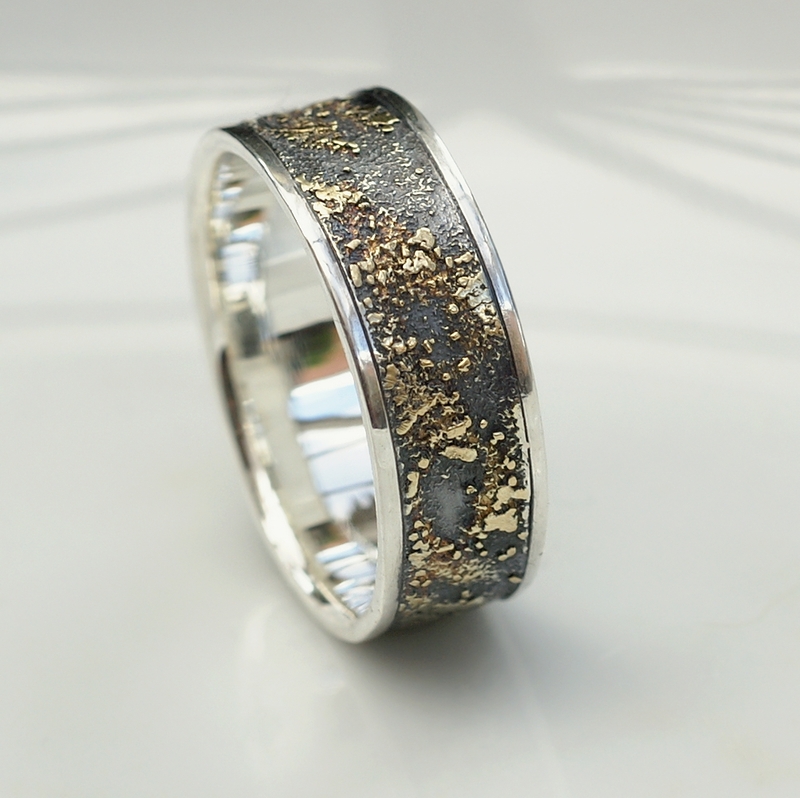 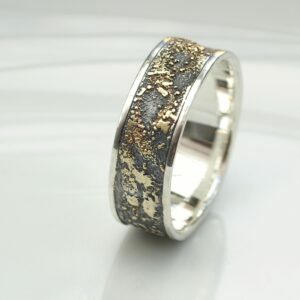 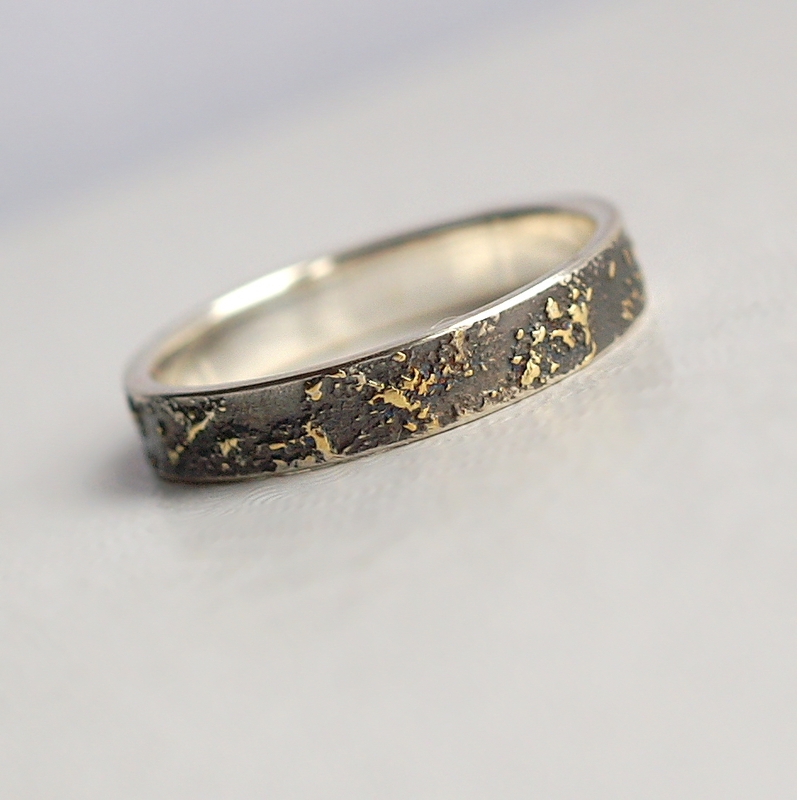 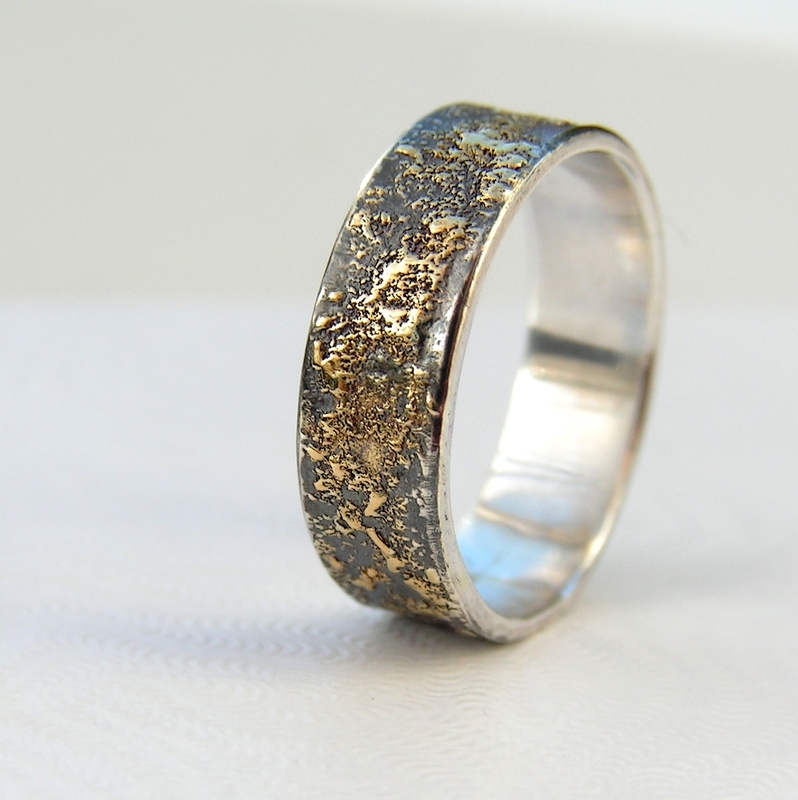 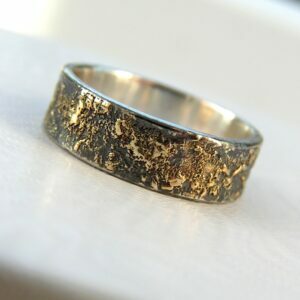 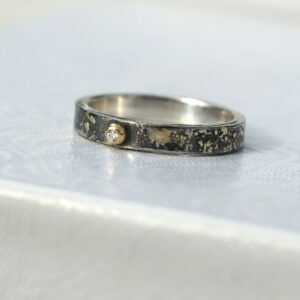 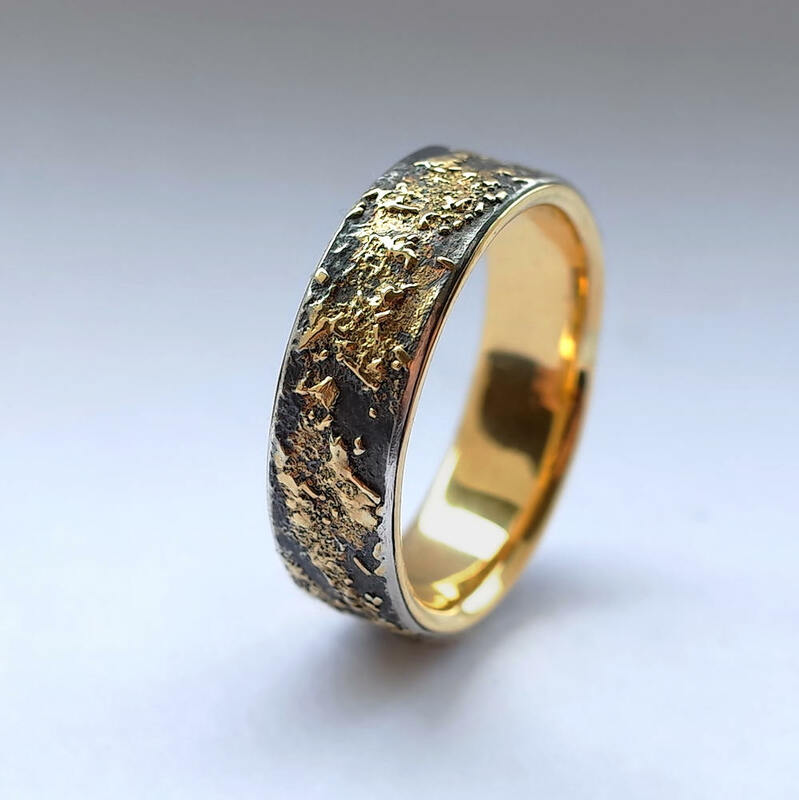 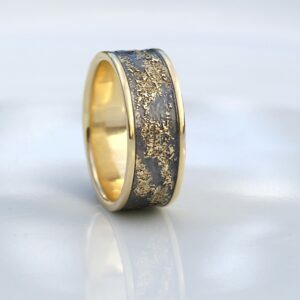 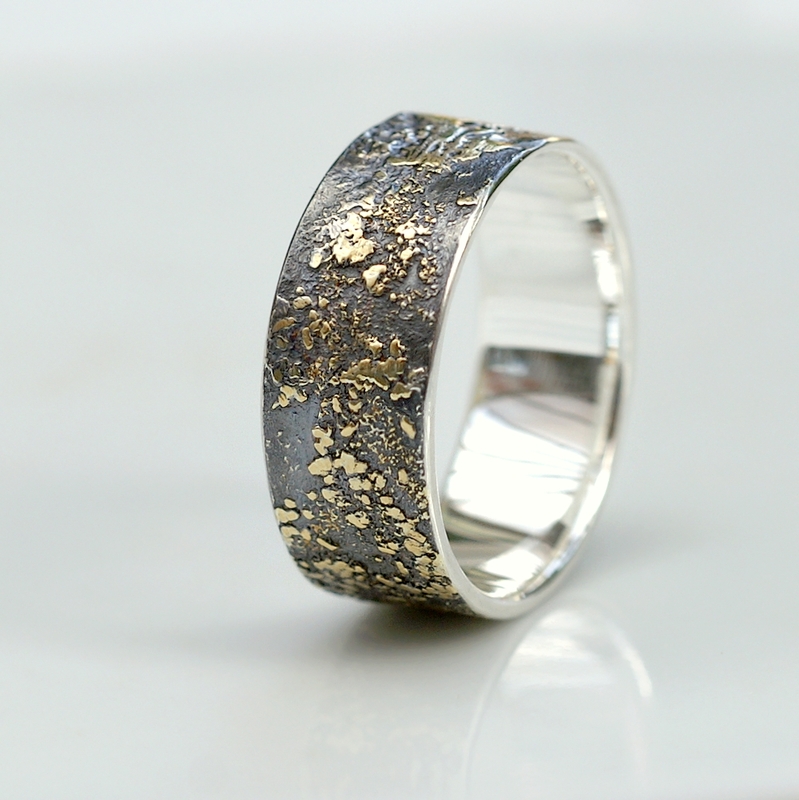 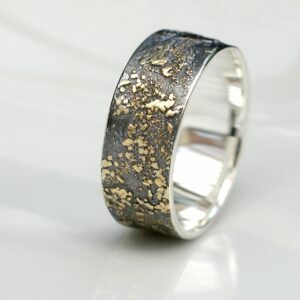 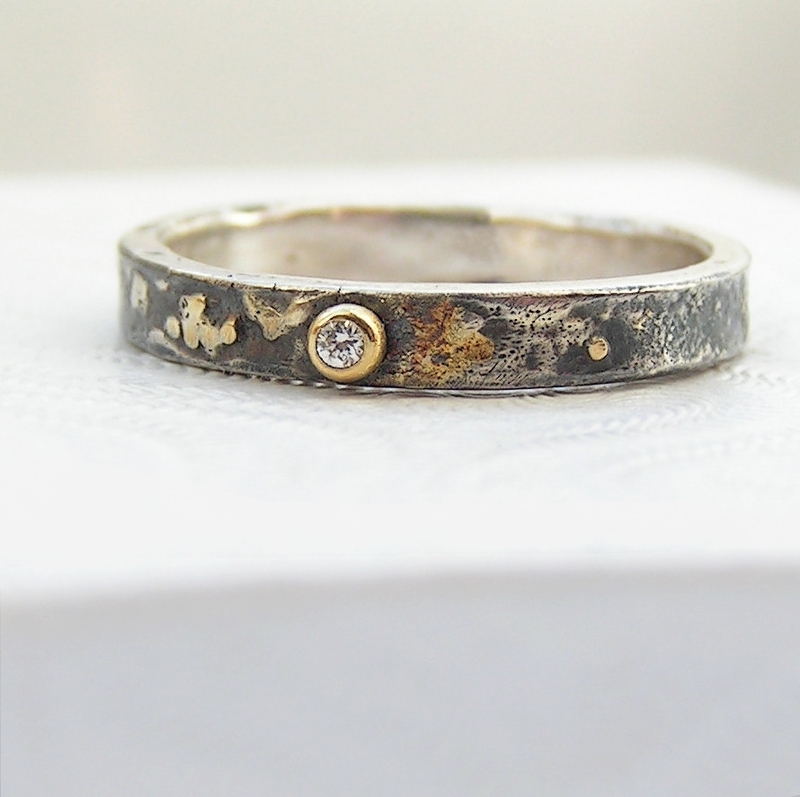 Unusual wedding rings made with technique developed by me – tiny pieces of gold are fused onto silver surface. 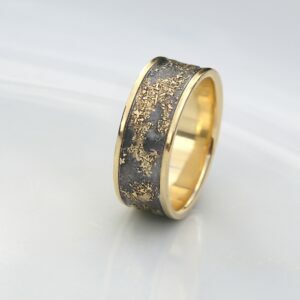 Hand crafted with oxidized sterling silver and 18k yellow gold and every single piece is slightly different and unique. 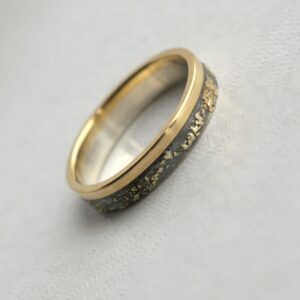 Available in various widths for both men and women.